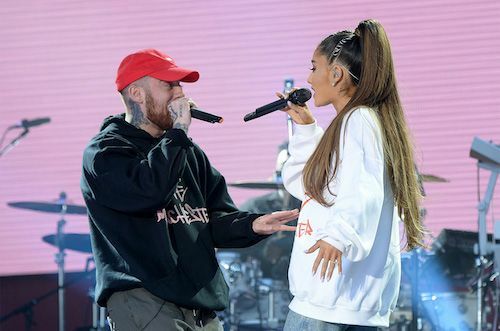 Social media users have harassed and berated Ariana Grande for breaking up with Mac Miller after the young rapper, who struggled with substance abuse, died in an apparent overdose. Blaming the pop siren is not only nonsensical; it underlines a tacit demand for women to remain trapped in unhealthy or potentially dangerous relationships, and shifts the blame from the real culprit. Grande and Miller dated for two years before splitting in May, and both publicly nodded to Miller’s drug use as a major factor. Grande is now engaged to comedian Pete Davidson, and Miller has commented that “it’s all positive energy" as they’ve “both moved on”. Nonetheless, media outlets such as TMZ have suggested the singer was the driving factor behind Miller’s death with statements such as “trouble recently… in the wake of his breakup with Grande”. Moreover, social media users have slung baseless accusations such as “you really did kill him” at Grande. The implication is that her refusal to put up with a relationship she herself labelled “toxic” pushed Miller into his grave. The furore has absurdly and irresponsibly cleaved the tragedy from its real, downplayed cause – substance abuse – in favour of reinforcing the regressive belief that women should be tirelessly “fixing” their male partners as their nannies, nurses and mothers. This gender structure isn’t new; its existence has only just begun to taper off in the mainstream with increased attention. Author Robin Norwood terms it a “Beauty and the Beast” expectation in Women Who Love Too Much; a “cultural assumption that we can change someone for the better through the force of our love, and that, if we are female, it is our duty to do so.” The topic flared recently when Michelle Obama was shown hugging a crying Kanye West – complete with MAGA hat – back to happiness in Childish Gambino’s Feels Like Summer animated music video. While Gambino may have meant well, many critics rebuked the gendered imagery as an example of women’s conditioning to serve as caretakers without complaint. Binding women to toxic partners and abusers, in the misguided hope that their patience and compassion can rectify the behaviour, perpetually endangers women’s lives. According to research, women in dangerous relationships are at the greatest risk of being killed when they finally do leave their partners. Given that peril, it’s cruel to shame women for putting themselves first. Miller and Grande may not have had a physically abusive relationship, but the vitriol that strangers have spewed at Grande is a sobering indicator of what many women with fewer resources face when leaving bad relationships.